37% of the world's population—a whopping 2.8 billion people—use social media. That’s a lot of social media demographic research to sort through when you want to zero in on understanding audience characteristics of specific networks—and we know the last thing a social marketer has is time to spare. That’s why we’ve done all the heavy lifting for you. Spredfast 2018 Social Audience Guide surfaces the demographic data you need to inform a smart strategy, like age, gender, and income—plus device usage and site behavior in one easy-to-read infographic. Did you know YouTube reaches more 18-49 year olds than any cable network in the US? Or that 30% of retail shoppers who recently made a purchase discovered a new product on Facebook? 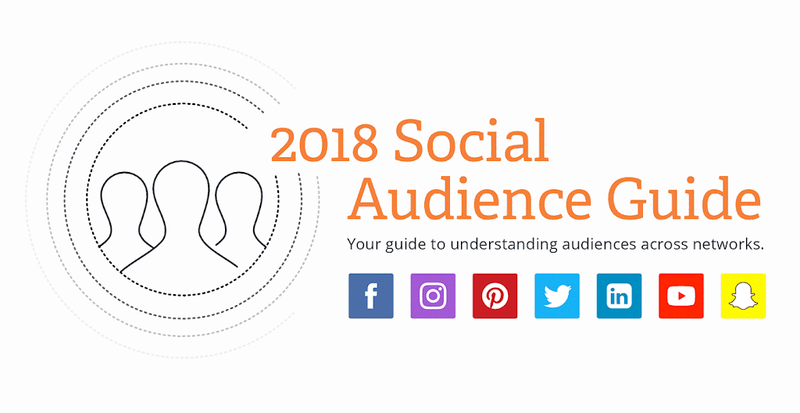 Download the 2018 Social Audience Guide to discover more about what makes the audiences of Facebook, Instagram, Twitter, LinkedIn, YouTube, and Snapchat unique or bookmark it now to reference anytime.